Maruia Hot Springs is located in the middle of the Lewis Pass National Reserve and is surrounded by protective forest and mountains. In winter we often get a fresh blanket of snow which makes bathing a magical experience. As we are fortunate to be located in such a wonderfully remote location we have a number of hidden walks and trails that guests can explore. Walking trails to fit and suit any timeframe or experience level. This is the perfect activity to enjoy before you bathe. Let the geothermal mineral springs help rejuvenate and revive your sore muscles after a long hike. Please ask our friendly staff for directions and advice. 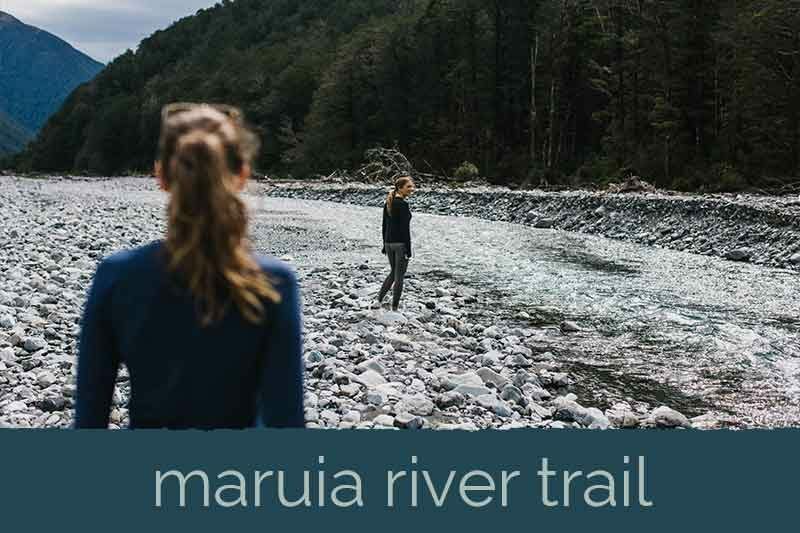 Explore the Maruia River bed, an easy walk that you can dictate the distance. Be amazed by the crystal clear water and even try and balance the river stones to make a zen sculpture. This walk you will see many views of the layers of mountain ridges. 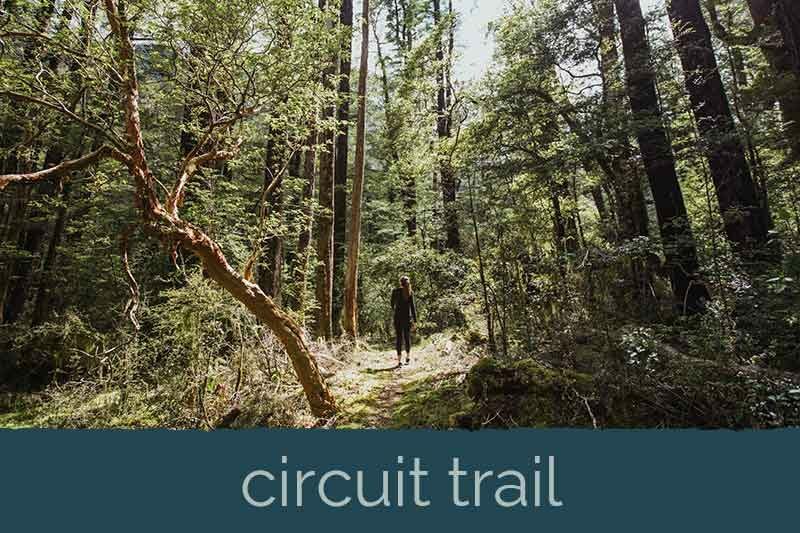 The circuit trail takes between 1- 2 hours. An easy walk that takes you through picturesque forest. The stunning greenery will wind you through an out to an opening where you can see snow capped mountains tops and the rivers edge. 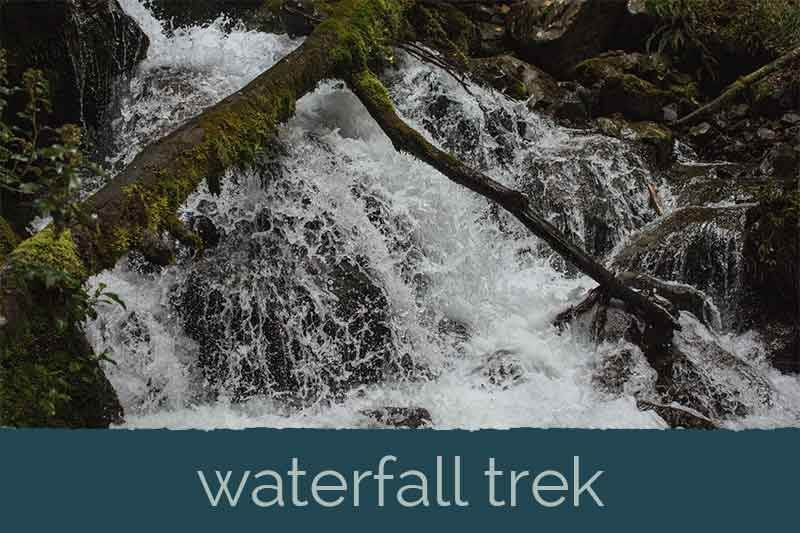 The waterfall hike is for more moderate walkers and fitness levels. It is steep. This walk shows you the pipeline and mountain water story of Maruia Hot Springs and the waterfall at the top is truly a wonderful sight.